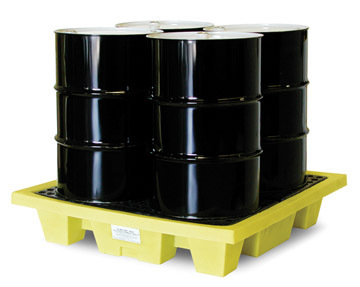 The most popular 4 Drum Spill Containment Pallet on the market. 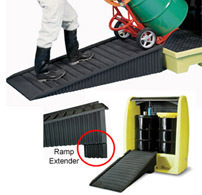 The 4 Drum Poly-Slim-Line Spill Containment Pallet has a low-profile sidewall for easy access to drums, as well as removable grates to easily clean the sump in case of a spill. 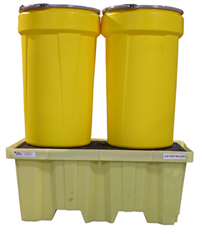 It meets or exceeds all regulatory requirements and is tough enough to be an outdoor storage solution. 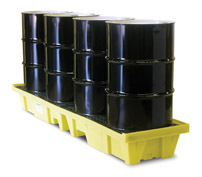 The most sought after spill containment pallet on the market. This item is oversized and must ship with an LTL freight company.